Female students in Iran have been barred from more than 70 university degree courses, popular British daily The Telegraph reported on Monday. The new policy introduced by the Islamic Republic of Iran, resulted in 36 universities announcing that 77 Bachelor of Arts (BA) and Bachelor of Science (BSc) courses would not be offered to women in the coming academic year. 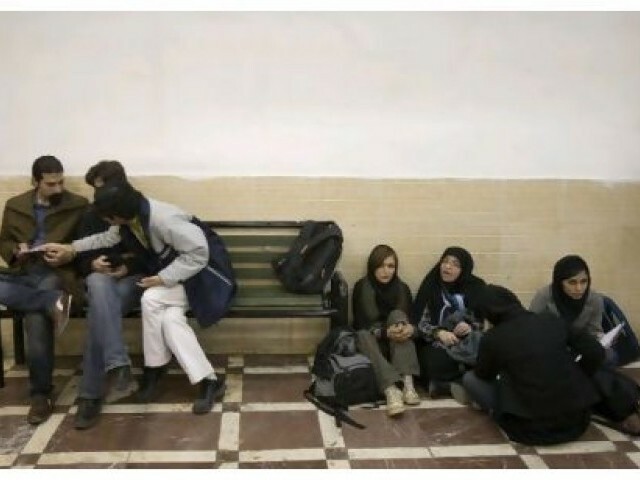 Senior clerics in Iran have become concerned about the social side-effects of rising educational standards among women, including declining birth and marriage rates. Critics have termed the move as a attempt to undermine the fight for women’s rights in the country. The move prompted exiled Iranian human rights campaigner, Nobel laureate Shirin Ebadi to call upon the United Nations to investigate the matter. Iranian women students have outperformed men over the years, where in women have outnumbered men by three to two in passing this year’s university entrance exam. As per the new policy, women undergraduates will be excluded from courses in some of the country’s leading institutions, including English literature, English translation, hotel management, archaeology, nuclear physics, computer science, electrical engineering, industrial engineering and business management. The Oil Industry University said that it will no longer accept female students, citing a lack of employer demand, while another prominent university, Isfahan University gave the same reason for excluding women from its mining engineering degree programme, adding that 98% of female graduates ended up jobless. Ebadi, exiled in Britain, wrote to UN Secretary General Ban Ki Moon and Navi Pillay, the high commissioner for human rights, saying that the real agenda of the policy was to reduce the proportion of female students to below 50% – from around 65% at present. The new policy has also been criticised by Iranian parliamentarians, who summoned the deputy science and higher education minister to explain. However, the science and higher education minister Kamran Daneshjoo, dismissed the controversy, saying that 90% of degrees remain open to both male and females and that single-gender courses were needed to create “balance”. It is noteworthy that Iran has the highest ratio of female to male undergraduates in the world, according to UNESCO. Female students have become prominent in courses like applied physics and some engineering disciplines.